Mrs Tittlemouse is a terribly tidy little wood mouse. She is always sweeping her burrow, polishing and tidying. It is an endless job and it seems that no sooner has she made a good start than another messy visitor appears to leave their muddy footprints everywhere. 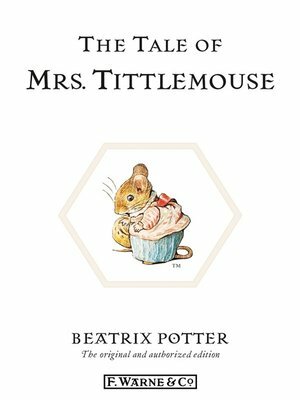 Beatrix Potter had in her youth made beautiful microscopic studies of insects, and this knowledge enabled her to produce delightful pictures of the many uninvited guests, from spiders to bees, found in Mrs. Tittlemouse's underground home.